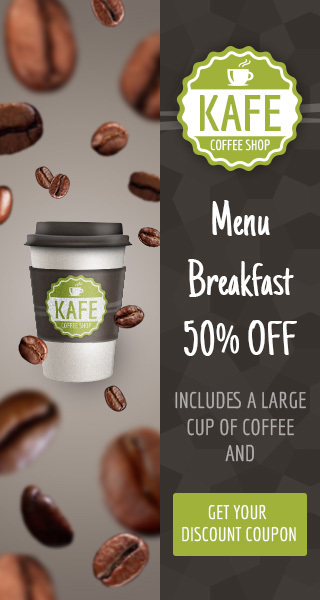 Kafe it’s an animated html5 ad banner, perfect to promote your coffee business, in a quick and easy way. The Ads were designed with Google Web Designer and they’re fully prepared to be used in DoubleClick or Google Adwords display network. All files needed to edit the ad in Google Web Designer are included, as well as the PSD files (layered and well organized), making it easier to completely customize your ads according to your business needs. If banners in live preview not showing up after a few seconds, please, turn off your AdBlock plugin and refresh the page.